Inconsensus Music announces new album created by three seniors whose songs provide a fresh alternative for those who love the sound of a bygone era. “Bob Fanelli is one of the bright lights in and around the Delaware Valley,” the late Jazz Radio Host Dr. Jack Buerkle. Stories define the fabric of so many songs from the ‘50s, ‘60s and ‘70s made popular by such legendary crooners as Tony Bennett, Bing Crosby and Frank Sinatra. A new album release “Stories” is a fresh look at those “Great American Songbook” themes of love lost, love found and heartache, according to Inconsensus Music. Original lyrics and soundtrack are sure to delight listeners who love the music from another era, but are yearning for something different. 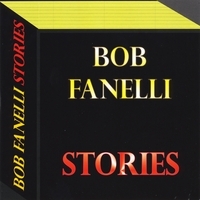 The album, along with three other releases by Fanelli, is available at CDBaby and through the website. “Because of the long-standing popularity of songs from 40 to 50 years ago, older adults as well as baby boomers will find something familiar and appealing in this music,” Fanelli said.